Who does’t want a glamorous wedding? 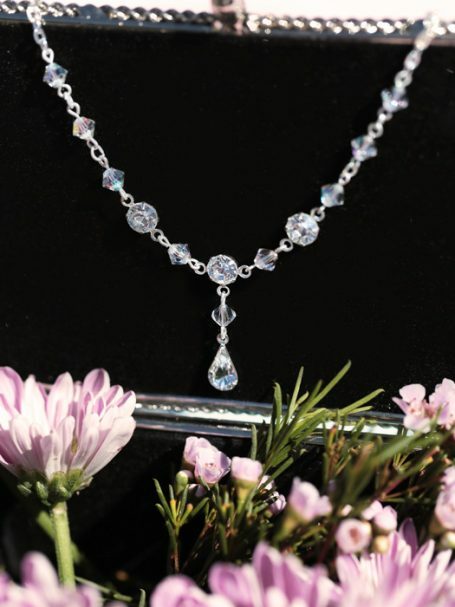 I believe this wedding necklace is pure glam with its chic crystals and diamond designs, simple timeless elegance. We all need a little glamour! 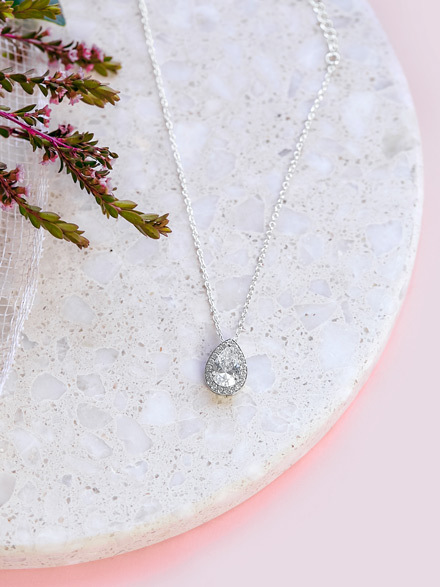 Well now its so simple with our silver Glamorous wedding necklace, a series of bi cone crystals and diamontie’s that make up a simple and delightful drop necklace. The AB crystals will bounce the light just nicely with out over whelming your style. 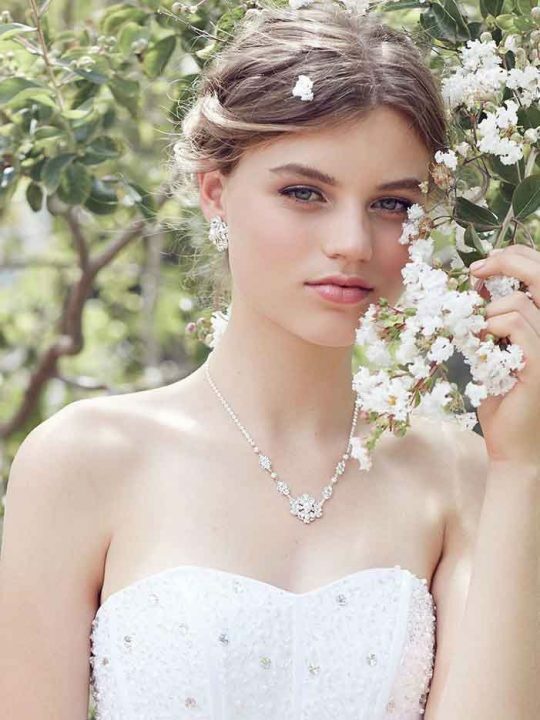 This necklace is one of our best selling pieces as it compliments almost every style of wedding dress and works so nicely with a statement earring. After the crystals and diamontie’s there is a delicate chain and is fixture is a clasp and multi size chain. Wear with our Glamorous Wedding earrings to complete the look. After the design work shown it transitions in to a fine chain then the clasp and on the other side the chain loops. Length of drop 2.5 cm, Length of necklace excluding adjustable chain 44 cm. Adjustable chain 6cm. Now let’s add some accessories! 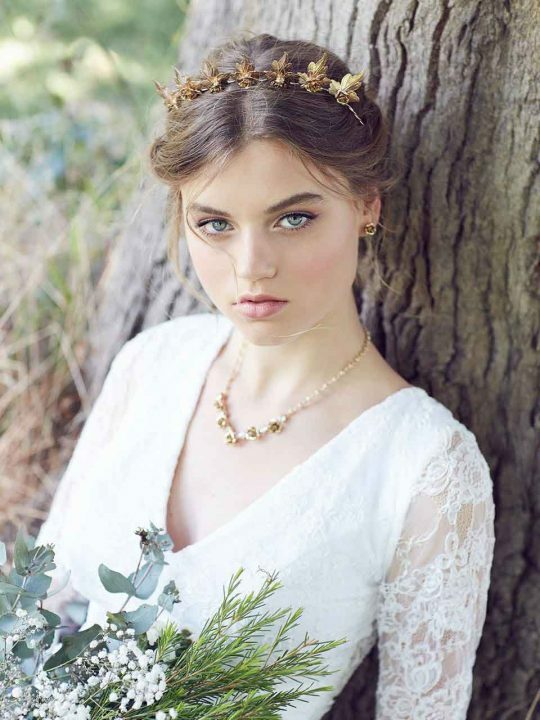 For an over-the-top look for your bohemian wedding, a diamante tiara adds plenty of shine. You can also choose to wear this necklace with or without a veil. The matching flirt earrings are the perfect complement to your lace wedding dress. Check out Hello lovers range of lace wedding dresses too.